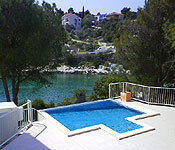 Fantastic Villa accommodation for summer 2011, Book Now! Spacious landscaped gardens for fun and games. Large villa with pool and BBQ area. Make a splash in this beachside villa. Enjoy sea views from the wonderful outside terrace. Hugely spacious villa in a seaside town. 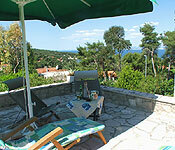 Big 6 bedroom villa, perfect for large groups or 2 families. With a spacious layout, this villa is Perfect for older families. This villa offers both a pool and direct access to the sea. Beach front apartment with great sea views. 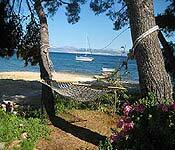 Pretty apartment with sea facing terrace and boat mooring. Book your summer holiday villa now to secure your desired property and take advantage of low rate airfares with Croatia SkyScanner. Enjoy special offers and savings across a selection of our properties. But hurry, offers are valid for a limited time only!